There are so many events to enjoy the Christmas and Holiday season in Columbus, including family activities, date ideas, community tree lightings, and more. Mark you calendars so you don’t miss out. More details can be found through the links, or on the individual event websites. This list will be added to throughout the holiday season, so bookmark and check back regularly to see the many, many updates coming over the next few weeks. 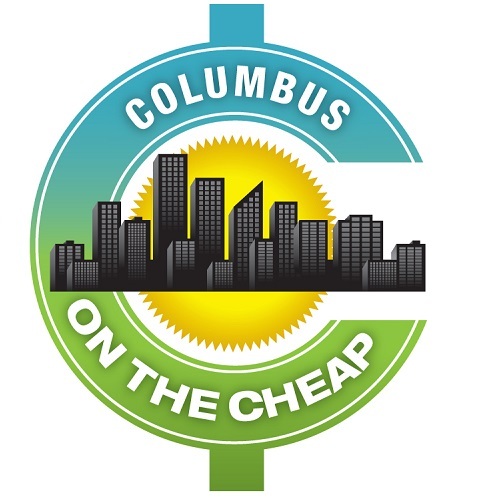 Please let me know what I’m missing in the comments or by emailing info@columbusonthecheap.com. Need to shop? Our gift guides are here to help! Wildlights at the Columbus Zoo and Aquarium: November 18 – January 6. Don’t miss the Columbus Zoo Christmas lights for 2018! Admission $19.99 adult, $14 children 2-9 and adults over 60. Franklin County residents receive a $5 discount with valid driver’s license, state-issued ID or a current utility bill to receive the Franklin County pricing. Purchase tickets online to save $1 (plus save time at the gates – can show admission on your smartphone). Parking is $10/car. November 17 is Member Preview Night from 5 – 9 p.m. November 18 is Stuff a Truck Food Drive – bring 5 cans of food per guest for free admission and parking. Easton Holiday Carriage Rides: Fridays, Saturdays, and Sundays, November 16 through December 23 in the evenings at Easton Town Center. Admission is $10, children under 15 ride free with paying adult. Easton Trolley: Ride around and check out the holiday lights of Easton (it’s beautiful during the season). Hop on at Brio Tuscan Grille, Bon Vie, or at Easton Gateway across from Zoup! The trolley is free to all customers. All tips help fund Easton’s Change for Charity program. Holiday Hoopla: November 15- December 29: (Slightly) raunchy Christmas Fun and Rock and Roll. Tickets are $25 and up. Holiday Wine Tastings at Meza: are every Friday from 6:30 – 10 p.m.; $10 for 5 tastes & tapas. Additional Holiday Bubbles and other special event tastings are available through the season as varying price points. Huntington Holiday Train at the Main Library: November 18 – January 2. This fixture of the downtown holiday scene has delighted people of all ages since 1992 with its trains, tracks, tunnels, bridges and replicas of historic German homes and castles. See the Huntington Holiday Train display Nov. 18 through Jan. 2 during Main Library’s regular hours. Free one-hour parking in the library garage. Check hours and holiday closures here. Gahanna’s Annual Holiday Lights Gingerbread House Contest: Entries will be accepted anytime through December 19 at the Visit Gahanna offices (167 Mill St.) Entries will be judged on the Visit Gahanna Facebook page–and prizes will be awarded. Details: Entries do not have to be houses or made of gingerbread, but they must incorporate edible materials and have a base no larger than 20″x20″. This means that your structure can be baked, painted, made of wood … as long as you include edible items in your decorations. See details and entry form here. Entries will be displayed at Fresh Thyme, 1125 N. Hamilton Road, through Saturday, December 22, where they can receive votes. Winner will be announced on 12/23. Gifts of the Craftsmen Sale at Ohio Craft Museum: Ohio-made gifts for sale through December 23, plus children’s gift making workshops. Holiday Open Farm at Harrison Farms: Saturdays, November 17 – December 22, 2018 from 1 pm – 5 pm. Come visit The Hangar to shop the farm products, take a farm tour to meet our newest baby animals, and enjoy a delicious chocolate chip cookie (from Grandmother Harrison’s famous recipe). Feel welcome to stop by anytime between 1pm and 5pm on Saturdays from 11/17 to 12/22. Stuff the Stocking Wine Trail: Nov 23-24, 30, Dec 1, & 7-8, Noon to 6 pm. A self-driving tour along the Capital City Wine Trail in Central Ohio. At each stop you’ll sample wine and enjoy a complimentary appetizer where available. At a designated winery you will receive a Christmas stocking stuffed with a wine related gift. Tickets are limited and $50 per couple. Pick a location to start at, and stop at the wineries on the trail anytime during the designated weekends. The Christmas Journey at Shepherd Church of the Nazarene Gahanna: November 30, December 1, 7, & 8 from 6-8 pm, with journeys every 15 minutes. At this outdoor Christmas interactive Experience, you and your family will take a guided 20 minute hike through the Christmas story. Before and after your journey you can enjoy fireside activities, kids crafts and games, and pictures with Santa. Dress for the weather and wear walking shoes. Echoes in Time Theatre: Nifty Fifty Christmas at Ohio History Center: December 1, 8, 15, 22 & 29 at 1 and 3 pm. Writing letters to Santa, visiting him at a department store and tracking him on Christmas Eve are traditions many of us know well. Listen to stories about how many American Christmas traditions began in the 1950s after World War II. This performance lasts about 30–45 minutes. Regular admission applies. Ohio Statehouse Holiday Choir Performances are FREE lunchtime holiday choir performances from December 7-21 at the Ohio Statehouse weekdays. Firefighters for Kids Toy Drive at Worthington Fire Department: December 8 and 15 from 8 am – 3 pm. Drive through and drop off new and unwrapped toys and/or canned goods. Donations can be dropped off 24/7 before Christmas Eve. 6500 N. High Street. Donated toys need to be new and unwrapped. They can be for children of all ages, however there is a particular need for toys for teenage boys and girls. Cash or check donations are also welcomed. The toys will be distributed to central Ohio area children who might otherwise go without this holiday season. Marmon Valley Farm Country Christmas: November 30, December 1, 7, 8, 9. The covered wagon tour is a 45 minute production that includes five mini dramas depicting events recorded in the Bible about the birth of Christ. Warm up afterwards with cookies and hot chocolate as you enjoy live music and activities. Children will also enjoy petting animals and pony rides. Christmas tree farm is also open for tree purchases. Tours begin at 6:30pm on Fridays and 5:00pm on Saturdays and they leave every 15 minutes. Walk-ins will be accommodated if there are openings on scheduled tours. To guarantee your spot, please call ahead to reserve tickets. $8 in advance, $10 at the door. Santa Train at Nelsonville Depot: Saturdays and Sunday November 24 – December 16. Each train departs Nelsonville round trip for about 20 miles and lasts approximately two hours. Reservations are strongly suggested as trains often sell out. Santa visits each child as the train rolls along the valley. Each child also gets to enjoy a candy cane treat after Santa’s visit. Each coach is decorated, heated, and plays Christmas music. Adult: $18, Child: $14, Senior: $16. Check out other Christmas Train Rides and Polar Express Rides! Day by Day Christmas events in Columbus Ohio! Holiday Tours at the John and Annie Glenn Museum: Monday, November 26, 2018 from 5-8:30 p.m. Visit John Glenn’s boyhood home during the holiday season. Come and see what Christmas would have been like for a typical American family in 1962, the year John Glenn orbited Earth. John Glenn’s Lionel train will be running around the tree for all to enjoy and museum volunteers will be serving hot chocolate and cookies on the porch.